How do you tell what types of soil are in your garden? Is a soil “good” because its dark and rich looking, or is it “good” because of it's excellent structure, or is it “good” because it is not acid or alkaline? “Good” is a very relative term! Plants absolutely do prefer certain kinds of soils, and are happiest with certain soil characteristics. The gardening wisdom of years has brought us to describe those characteristics as “good” soil. I’d like to make a very important point here though. Soil is only as good as what you want to “do” with it. Where in the world do you live? Was your soil formed from volcanic ash, or dumped into your valley by mountains that surround it? Is your soil what is left after erosion has washed the silt and sand down the mountainside in the last 1000 years of storms and weather? Was your home just built and the soil around it stripped and laid bare? 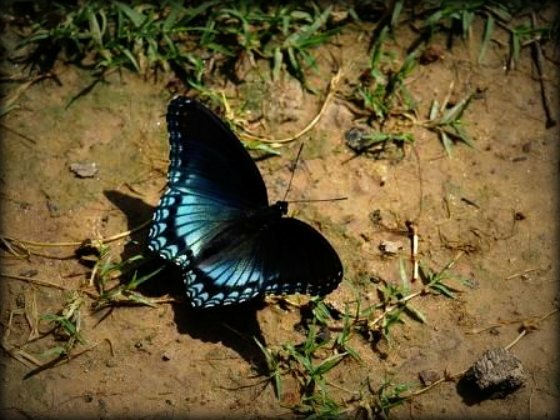 Factors like these influence the types of soil available to you for your garden pleasure. Very few of us have inherited “good” soil as touted in most gardening books or manuals. Advice abounds about what to add to your soil to make it “better”. So we work with what we got! We add stuff to it, we water it, we dig it, and we plant it. How does YOUR garden grow? It depends upon what you want to do with it! What do YOU want to grow? Soils have varied characteristics. Plants that live happily in highly acid soil may be very unhappy in highly alkaline soils. Some soils may have high concentrations of iron or other important minerals, while others lack these minerals entirely. Weather conditions, the type of parent rock that the soil was decomposed from, the additives and conditioners that have been mixed in to the soil and the amount of water a soil receives all work together to form a “natural” soil for the particular area. Certain plants grow in these varied types of soils well, while other plants may not. Soils are a product of their natural and environmental surroundings. You get what you get! Now it is up to you to make the best of it! It is fine to dream of deep loamy soil that grows anything we want to grow. But it is time for a healthy dose of realism! Let’s work with the types of soil we inherited for a change! Soils can take many forms, and have many different consistencies, but all types of soil are made up of essentially the same components. The major components are sand, silt, and clay. The proportions of each component are what cause soil to develop its’ diverse characteristics. Clay has very small, fine particles. Clay particles fit very closely together, like little saucers stacked in a cupboard. Particles of clay that are stacked together tend to seal in water and nutrients, since the smaller particles work with surface tensions created by water to “seal” a surface. If these small particles are mixed into water, they take a long time to settle to the bottom. 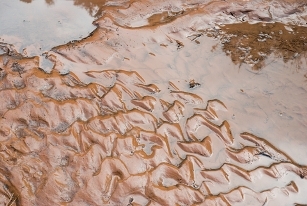 Types of soil with high clay content can become sticky and slick after a heavy rain, and tend to hold water, sometimes to the point that it pools for days after a reasonably hard rain storm. If there is enough clay in a soil combination, the soil may even crack like broken pottery when it becomes very dry. Silt has larger particles, which are more rounded, and pack together, leaving small air spaces between particles. Silt is heavier than clay, and as such, will sift down through water more quickly, but is still light enough to be easily carried by moving water, such as rivers or streams. Silt deposits can become an ecological problem, precisely because of this, and may clog and choke streams or tributaries over time. Silt soils allow more nutrients and water to move through the soil, but may still pack together very tightly and hold water. 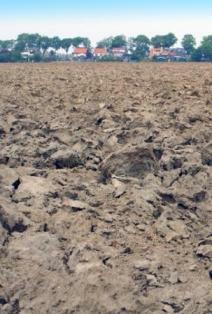 Silt which has been heavily compacted may act similarly to clay. Sand is made up of fine to medium sized particles with rough edges like a small stack of rocks. The rough edges of these particles keep the soil from binding together to create a seal, thus they allow water to sift through very, very quickly through the large air spaces between particles. Sandy soils tend to drain very quickly, and as a result do not trap nutrients or water well, and if soils have too much sand content, they may very well not support most plant life. When is the last time you saw plants growing on a sandy beach!? Just about all that will truly grow in these conditions are some very tough grasses. All types of soil are made up primarily of these three types of particles with very different characteristics. The proportion of sand, silt or clay particles in relation to other particles is what gives us various soil types. All soil can be roughly categorized by the content that makes up most of its soil structure. Clay soils are obviously made up primarily of clay particles. The sand and silt particles in a clay based soil are far outnumbered by clay particles. They may have a red orange, blue, or dirty gray tinge to them, depending upon the nutrient balances within the soil composition. are tilled and managed can produce very spectacular plants. On the other side of the equation, compacted clay soils can be among the most troublesome soils to correct. Air and water cannot penetrate a deeply compacted layer of clay, and therefore will no longer support most plants. Many weeds find comfortable homes in compacted clay soils. better than sandy soils. Plants grow well in silt soils unless the soil is compacted. The weaker structure of silt soil does allow it to become compacted quite easily. When silt soil is compacted, the air pockets in the soil are crushed, and plants cannot extract enough air or water to survive. Sandy soils contain rougher particles sized from very fine up to larger grains. Sandy soils may be difficult to grow plants in depending upon the percentage of sand contained in its structure. Plants have a harder time establishing as the soil is loose around the roots, and easily disturbed. Plants also have a harder time absorbing nutrients as the nutrients are easily washed away. Extremely sandy soils are easily eroded and may be blown about by stronger winds. On the positive side though, compaction is generally not a problem with sandy soils! Within these larger categories of clay, silt and sand, there are many different variations. Scientists have tried to classify these types of soil in the following chart, which does communicate the wide variability that may be seen in these soils. 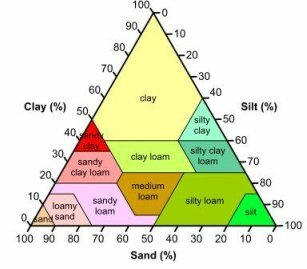 Note that at the bottom and in the middle of this chart, there are several types of soil which are labeled “loam”. retain the good characteristics of each type of soil and balance the negative characteristics. So the “good” soil gardeners so often lament that they do not have is something in the middle range of this chart. 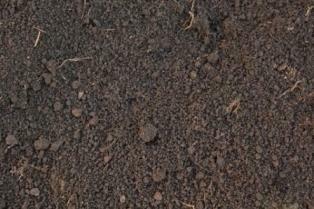 One example of this mid range soil can be seen here. This soil has a roughly even mix of all three major types of soil. Its deep, rich texture, finer soil structure, and ability to retain nutrients make this an ideal home for your plants. 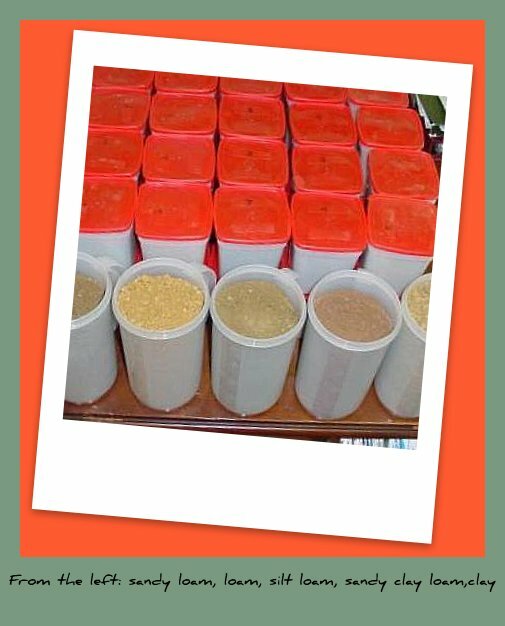 So what about soil amendments? Can we amend our soils to change their basic characteristics? The answer to this question is no. The basic characteristics of your soil are what God gave you to work within your area! The Bible tells us that man will live by the toil of his hands after the fall of the Garden of Eden. Nothing describes the efforts we make to help our soil become amenable to the sorts of plants we want to grow than THAT statement! We CAN, however, amend our soils to add nutrients, improve water retention capabilities, and enhance the texture of our native soils temporarily. This “toil of our hands” will allow these desired plants to grow on our properties. Over time, we can improve our soils as long as we are managing them and tending to them with a soil management plan. But the types of soil you have on your property are a product of the mountains, streams, rocks and the plants that grow on them. So nature continues its work, continually renewing, replacing and depositing, on YOUR land, therefore without a soil management program you are likely to experience problems with some plants. But not to worry, there are plants that will grow in nearly every soil. We are not destitute without a plant to grow! 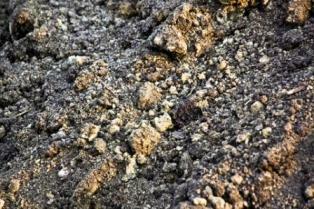 There are multiple choices for nearly all types of soils. Plants such as heather, camellias, iris, dogwoods and blueberries are tickled pink to make their homes in clay soils. Plants such as tulips, sun roses, and hibiscus do very well in sand based soils. Learning to work with our soils is a growing experience! We can learn to love whatever soil we’ve ended up with, and work with it to create gardens that sparkle. Celebrate all types of soils! Count yourself fortunate and enjoy what you have, understand the implications to your gardening options, and then find the plants that clothe your soil in style!